Born and raised on a ranch near Hobbs, New Mexico, I quickly fell in love with the western way of life and every aspect of the horse and cattle industry. I truly believe that there is no better way to grow up than on a ranch. It has taught me so many life lessons that many are not blessed enough to experience. Being around horses all the time, I quickly picked up rodeo and have competed within the sport from the time I was little until now. Having a competitive spirit, I also picked up the will to win. I feel that rodeo instills a trait of perseverance and dedication like nothing else can. Rodeo has been a huge part of my life and I wouldn't trade the memories or friends that I've been blessed enough to make through this sport. I am proud to be not only an active competitor of the Texas Tech Rodeo team, but also the current team president. I help my coach with everything involved within our program. I love the leadership role that this gives me because it enables me to learn how to work with others and become the type of leader that I will need to be in the future! 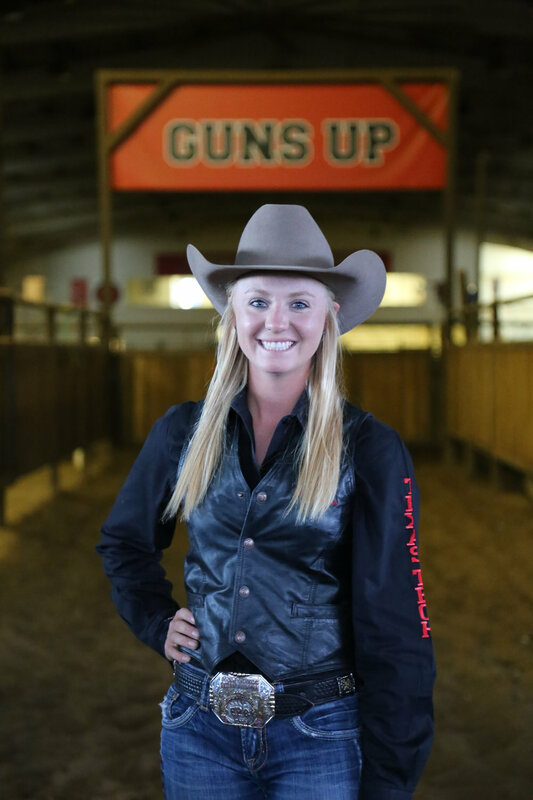 A current member within the National Intercollegiate Rodeo Association. I compete in the goat tying, breakaway roping, and barrel racing. I love everything about the western way of life and the fashion that comes with it! If I were to receive the privilege to represent Kimes Ranch, I would not only be able to bring this stylish fashion into the rodeo world, but also into the ranching industry as well. When I rodeo, I always strive to do the best I can while looking the best I can. I look at it like a job. I spend many hours in the practice pen to go out there and win and I feel that with this comes the need to always have a professional and well-kept appearance inside the arena!